Your dentist can give you a beautiful smile with veneers, implants, and such. But did you know she can also help shape the contours of your face to enhance the overall effect? With lasers, we can. And after all, who understands the musculature and structure of the face than a dentist? Procedures such as SmoothLase and LipLase allow us to remove wrinkles, add lip volume, and reshape the contours of your face – without surgery, non-invasively, and utilizing your own body’s regenerative power. But unlike a dermatologist, we don’t apply the laser to the outside of your skin. We apply it primarily within the mouth to stimulate collagen production. This tightens and plumps loose skin, creating a naturally younger and healthier look. We can also use our laser externally for a treatment called NeckLase. This procedure tightens up skin on the neck through a similar process of stimulating collagen production and encouraging the growth of new skin cells. 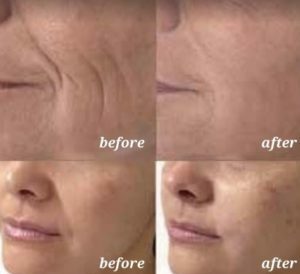 There are no incisions or injections, no fillers, little to no post-treatment pain, and minimal side effects, with results lasting up to a half year or more. The laser and your own cells do all the work.